Lord + Taylor Friends + Family event 2019 has begun! Extra 30% OFF almost everything + 15% OFF almost all beauty including sale items, Use Code FRIENDS. Lancôme is 15% off, Exclusive Free Gift + Free Shipping, Customize your 7-piece gift with any Lancôme purchase of $39.50+. Up to a $93 value. Step up: Spend $75+ and receive your choice of 3 additional beauty essentials from 5 options. Total Gift Worth Up to $168. Plus, there are new Ulta beauty break gift and new Lancome GWP at Saks Fifth Avenue! Option 1: Enjoy a deluxe sample of Rénergie Lift Multi-Action Lifting and Firming Eye Cream (0.2 oz) and Rénergie Lift Multi-Action Night Cream to lift and firm (0.5 oz) And Advanced Genifique Youth Activating Concentrate (0.27 fl oz) with your $75 Lancome purchase. Option 2: Enjoy a deluxe sample of Rénergie Lift Multi-Action Lifting and Firming Eye Cream (0.2 oz) and Rénergie Lift Multi-Action Night Cream to lift and firm (0.5 oz) And Visionnaire Advanced Skin Corrector (0.25 fl oz) with your $75 Lancome purchase. Option 3: Enjoy a deluxe sample of Visionnaire Multi-Correcting Eye Balm (0.2 oz) and Visionnaire Nuit Multi-Correcting Gel-In-Oil to smooth and correct (0.5 oz) And Visionnaire Advanced Skin Corrector (0.25 fl oz) with your $75 Lancome purchase. Option 4: Enjoy a deluxe sample of Genifique Yeux Eye Concentrate (0.2 oz) and Bienfait Multi-Vital Night Cream to hydrate (0.5 oz) And Advanced Genifique Youth Activating Concentrate (0.27 fl oz) with your $75 Lancome purchase. (NEW) GIFT 2: Receive a free full size Hempz Original Herbal Body Butter with any purchase, $20 value. (NEW) Receive a FREE 2 Pc Gift with any Laura Geller purchase. A $38 value! See all Laura Geller starts from $10.50. Ulta 21 Days of Beauty Event 2019: ulta.com/21days/. Saks Fifth Avenue (NEW) Receive a 4/3-4/7 Friends & Family Gift With Purchase* with any $100 Lancome purchase. Use code LANCME8SF at checkout. (NEW) Through 4/21, Receive a Sampling Fabric Pouch: Mini Dessin Du Regard Waterproof Eye Pencil, Mini Mascara the Shock sample, Top Secrets Lip Perfector and a Mini Rouge Pur Couture* with any $150 YVES SAINT LAURENT Beauty purchase. Use code YSL5SF at checkout. 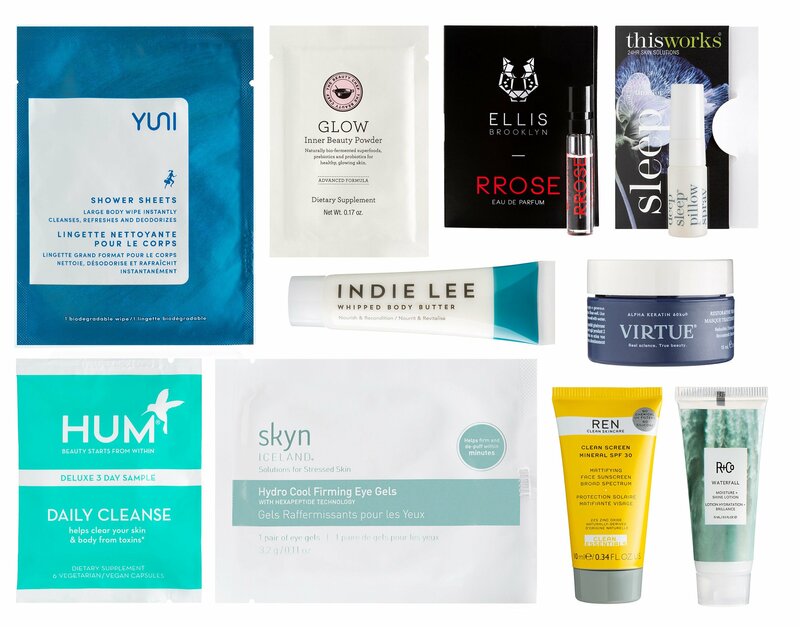 GIFT 1: 10% off all beauty purchase or 20% – 25% off others use coupon code “SAKS2019“, ends 4/8. (6d) GIFT 2: Free tote bag with dozens of samples with $150 beauty or fragrance purchase use code BAG2ASF, BAG2BSF or BAG2CSF. (NEW) GIFT 3: Receive a Minimalist Whipped Powder Blush* with any $25 Beauty and Fragrance purchase. Use code SHISED9SF at checkout. (NEW) GIFT 4: Receive a High Cover sampling card* with any $25 Beauty or Fragrance purchase. Use code YSL4SF at checkout. (NEW) Receive a Small Miracles Set: The Eye Concentrate, The Lifting and Firming Mask, The Moisturizing Soft Cream and The Treatment Lotion* with any $300 La Mer purchase. Use code LAMER7SF at checkout. (NEW) Receive a Pink Diamond Magic Gel Night Deluxe* with any $25 Rodial purchase. Use code RODIAL6SF at checkout. (NEW) Receive a Lip Color Deluxe Sample – Casablanca* with any $25 Tom Ford Beauty purchase. Use code TFORD8SF at checkout.